Mahira Khan is known for standing up for things that matter. She’s very active on social media and likes to interact with her fans. But she won’t let any hater joke around about anything that holds immense value. So recently, Mahira Khan shared a quiz on Twitter regarding breast cancer awareness, and she mentioned that out of 15 pointers, she knew about 11. All she was trying to highlight was the fact that it is very important for us to stay educated about one of the most deadly diseases in our country. But then, some people among us can’t help but post lewd, baseless comments regarding the issue – even if it’s this serious. So this guy just randomly decided to comment on Mahira instead. The comment was rather disgusting. Mahira, of course, took this as an opportunity to school people like him who don’t have the basic decency to stay silent, even in the face of such a pressing issue. She clapped back in the best way possible, making him realize the facts and added in the fact that men get breast cancer too. Moreover, she stated that its men like these who wouldn’t let women be educated about their own body. And then recommended the random troll to take the quiz so he can be more aware for women in his family and himself. When people saw Mahira’s reply, they couldn’t contain their love for the actress. There were people who applauded her for her reply. Some shared crucial information about how men can be victims of the disease, too. For men it's their chest or "pecs" and they may not think of themselves as having breasts. But men have breast tissue and they get breast cancer as well. Its a scary thing to have and It's something to get a lesson out of rather than ridiculing and wasting time on social media! This girl shared the story of her loved one being a victim and having difficulty discussing her disease. And this guy mentioned that this was the real meaning of ‘mardana kamzori’. Been disrepute with women is “mardana kamzori ” (character ki kamzori), men like those need treatment for “mardana kamzori” first …. Breast cancer is one of the most common forms of cancer in Pakistan. We are among the countries with the highest number of incidences in Asia. Let that sink in. 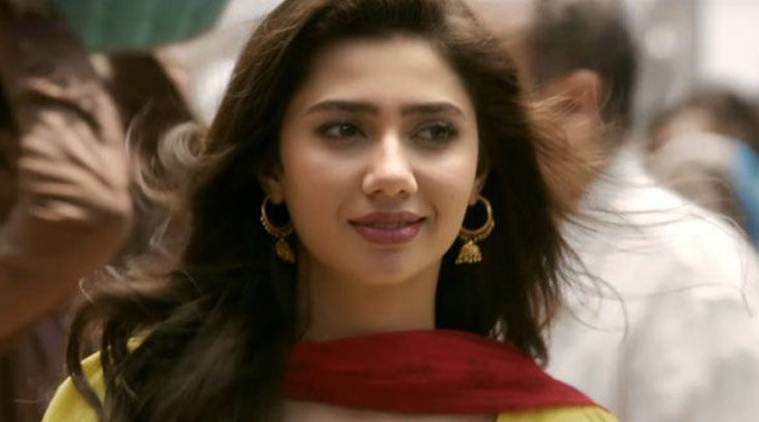 Also, Mahira Khan is one of the faces for this year’s Breast Cancer Awareness Campaign being conducted by Shaukat Khanum Memorial Cancer Hospital and Research Centre, alongside Sanam Saeed and Maya Ali. It’s stuff like this that can never be joked about. If we don’t take it seriously, who will? Khair, what do you think about the response from the actress? Have anything to add? Let us know in the comments.